Jennifer Carter is the Assistant Director of the Craft Academy for Excellence in Science and Mathematics at Morehead State University and the Director of SpaceTrek, an all-girls camp dedicated to the empowerment of young women. Formerly, as a science teacher at Rowan County Senior High School, Jennifer built a space science program including courses in space systems engineering and astronomy. She is a NASA Teacher Liaison, a SOFIA Stratospheric Airborne Astronomy Ambassador, and a Pulsar Search Collaboratory university leader. Jennifer has had three students to discover pulsars, the corpse of large collapsed stars in our galaxy. She is active member of the Kentucky Girls STEM Collaborative leadership group and the Million Women Mentors steering committee. Jennifer has a bachelors of science in mathematics and physics, a masters of science in Industrial technology, and a masters of arts in teaching high school math, all from Morehead State University. Currently, Jennifer manages student research projects, a mentor program, and a Maker Space at the Craft Academy. She mentors girls in STEM education and business endeavors. 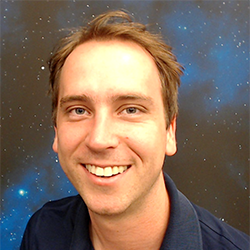 Twyman Clements is cofounder, CEO and President of Space Tango Inc. which enables R&D, bioengineering and manufacturing in microgravity with the mission to create new industries to improve the lives of people on Earth. He is the lead designer of the KySat-2 CubeSat (under the Kentucky Space nonprofit), the TangoLab-1 research facility installed on the International Space Station and the company’s current product lines. Flash Class: "Stupid Smart Goals"
Kristen Hanel is a Mechanical Engineer with her MBA and a passion for helping people, teams and organizations figure things out. As Global Industry Manager at Lexmark International, Kristen works closely with Sales, Marketing and Product Development. Annie creates playful, health-promoting experiences that traverse the digital and physical realms. Her background in computer science and fine art combine elegantly to produce beautiful interactive experiences that blur the lines between installation, environment, product and place. She is an advocate for cross-disciplinary collaboration and problem solving, seeking to leverage the best that cutting-edge technology can offer while humanizing and fitting it into the natural fabric of human life. MaryLiz is a transcendent powerhouse, and The People’s Ambassador of Science. She educates, informs, and excites the public by bringing science to the people through artistic endeavors like music, installation art, and the exploration of other worlds. Becky is an expert project coordinator and future astrophysicist. She loves bringing order to chaos, dotting i’s and crossing t’s, and revels in working with artists, creators, thinkers, and makers. She’s on a mission to study the universe, and profess its wonder to all those who will listen. She is the Lady of Steele. 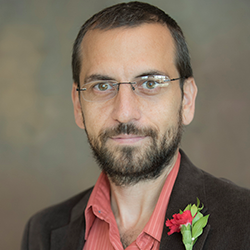 Dr. Roman V. Yampolskiy is a Tenured Associate Professor in the department of Computer Engineering and Computer Science at the University of Louisville. He is the founding and current director of the Cyber Security Lab and an author of many books including Artificial Superintelligence: a Futuristic Approach. Dr. Yampolskiy’s main areas of interest are Artificial Intelligence Safety and Cybersecurity.